Pioneer's in the business of Real Estate and Technology Park. Trustworthy and Reliable group that facilitates customer service with learned experiences. Creative Infocity Limited (CIL) is a Special Purpose Vehicle (SPV) responsible for conceptualizing, developing and operating Infocity IT Park project. It is a joint venture of Gujarat Informatics Limited (A Government of Gujarat subsidiary) and Creative IT Inc., USA (A Creative Choice Group Company). Creative Choice Group (CCG) is a successful US-based investment and development company involved in the business of private real estate investment and development. The Group excels at developing projects that create jobs and making community investments that uplift the socio-economic status of an area in tandem with the implementation of infrastructure and facilities in that area. CCG conceptualized the project of Infocity IT Park to give an opportunity to IT companies and related services to operate under one roof while extending the quality of life through well-developed infrastructure contributing to lesser stress and higher rates of productivity and efficiency from topnotch pool of talented resources. Creative IT Inc. is a branch of the company Creative Choice Group, which is one of the largest USA NRI owned real estate development groups in the world. The IT Metropolis, Infocity, is a pioneering effort by Mr. Dilip Barot led Creative Infocity Limited that will successfully assist in Gujarat making a giant leap forward and leveraging its IT Potential. The vision of the company enables the success of the IT industry, which largely depends on the people involved and the infrastructure. 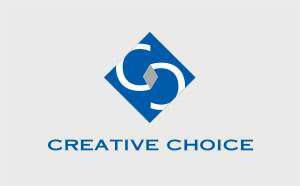 The start of Creative Choice Group was in 1984 when Mr. Dilip Barot laid its foundation in Palm Beach Gardens, Florida. The group’s core business activities and interests are in private real estate investment, development & management. Mr. Dilip Barot far sighted vision, in 2003 led to the Group’s entrance into IT/ITES domain and the acquisition of the formerly known Bellsouth’s, L.M. Berry Direct, now called Etech Global Services, a leading provider of intelligent sales and service solutions that utilizes inbound and outbound voice and web chat. The Group’s most recent venture into Telecommunications in the USA led to the founding of WiMax Broadband I LLC, a Florida corporation providing broadband to rural and suburban areas through VoIP based digital phone services located across the United States of America. Mr. Dilip Barot is leading Creative Choice Group that employs a workforce of around 3,000 people, located globally. ImproSynergies LLC. is a property management company that manages, maintains and monitors over 3,500 units primarily in the Florida market that includes multi-family rental communities, senior rental communities, and mixed income communities. 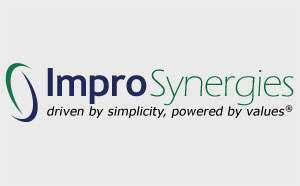 ImproSynergies was established in 2011 by a group of owners to maintain and manage the sizable portfolio as an owner would. The company has since expanded this concept and now has grown to include asset management and contract management throughout the United States. Amrit Ocean – Wellness Resort & Spa is an oceanfront mixed-use development on 7 acres of land in Singer Island, Florida. The site is located on one of the last beach front properties available for commercial development in Palm Beach County. A partnership amongst leaders in the world of spa, wellness, and hospitality, this project is dedicated to combining nature, architecture, philosophy, technology, and Eastern Wellness in a way that goes beyond 5-star luxury. 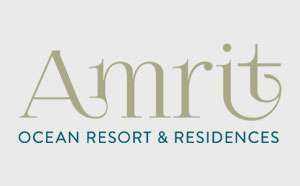 The Amrit Lifestyle unites Eastern principles and Western luxury to promote mindful living with unlimited potential.